Attorney General Jeff Sessions is interviewing potential candidates for interim FBI director Wednesday, despite his pledge to recuse himself from Trump campaign-related FBI investigations. Through the normal line of succession, Comey's deputy Andrew McCabe became acting director after President Trump fired Comey, but now, according to a Justice Department official, the attorney general is considering other people to do that job until Trump names and the Senate confirms a new FBI director. According to the official, Sessions spoke with McCabe Tuesday night and he is "also under consideration." But statute allows the president to choose an interim FBI director outside of the standard order of succession, and that process is underway. Trump was hotly critical of McCabe during the 2016 presidential campaign. On Oct. 23, Trump tweeted out an article in the Wall Street Journal about McCabe's wife, Jill, who in 2015 ran for state Senate in Virginia. She received a large campaign contribution from the political action committee overseen by Virginia Gov. Terry McAuliffe, a longtime Clinton supporter. Trump falsely asserted that McCabe was "in charge" of the investigation. 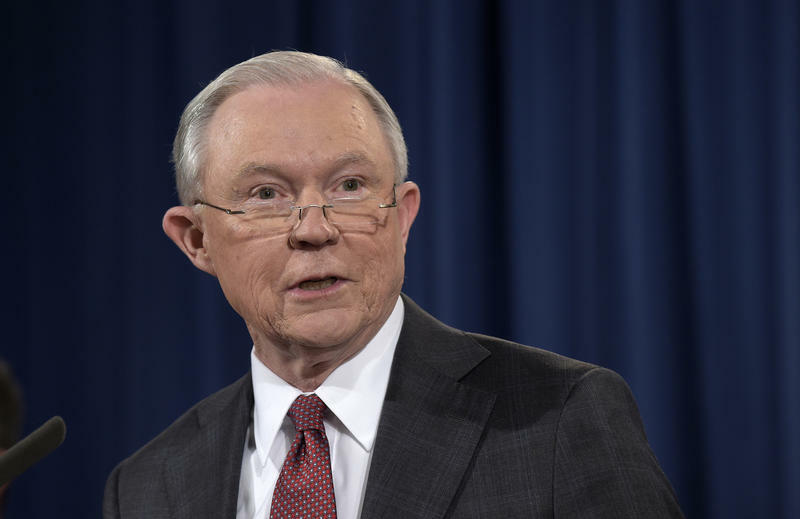 The fact that Sessions is conducting the interviews also raises an ethical question regarding his pledge to recuse himself from investigations dealing with the Trump campaign. 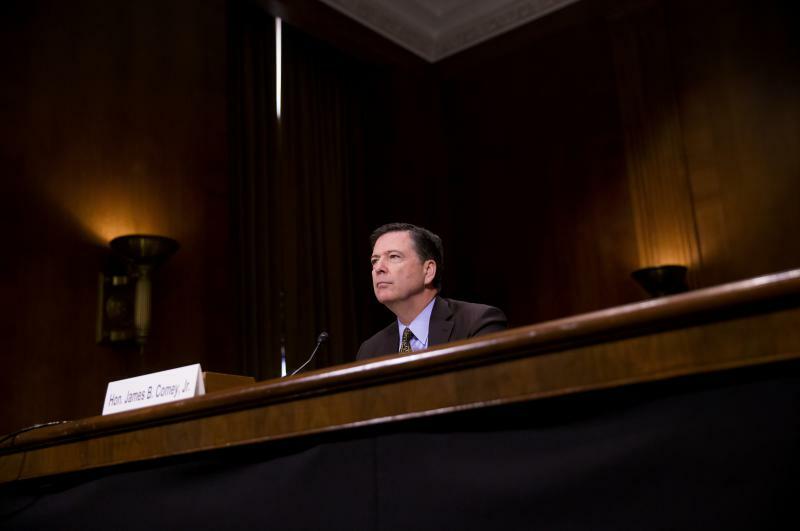 The FBI, which the attorney general oversees, is conducting an investigation into Trump associates' ties to Russia. 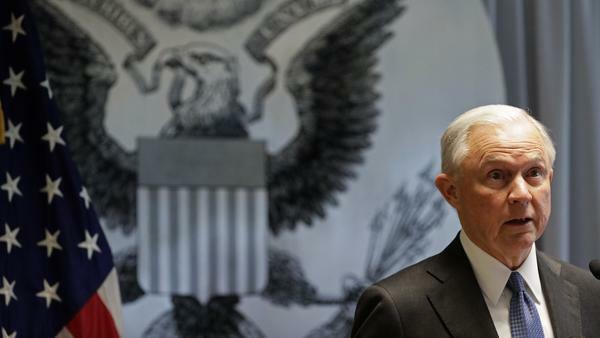 "I have now decided to recuse myself from any existing or future investigations of any matter relating in any way to the campaigns for president of the United States," Sessions said March 2. That decision came following discussions with staff, according to Sessions, after he falsely said during his confirmation hearing that he had no contact with Russian officials during the campaign. The former senator had met twice with the Russian ambassador to the United States during that time. Sessions was the earliest — and for a time, the only — senator to endorse Trump. At Wednesday's press briefing, White House principal deputy press secretary Sarah Huckabee Sanders said Sessions should "absolutely have a role" in choosing the next FBI director. Huckabee Sanders argued that the FBI director's responsibility would be much broader than the Russia investigation. The immediate steps also come as questions are being raised about Trump's reasoning for firing Comey. Trump on Wednesday said he fired the FBI director because he "was not doing a good job." A White House statement Tuesday said it had to do with Comey's handling of the Clinton email investigation. During the campaign, Trump implied that McCabe and the FBI couldn't fairly investigate Clinton's private email server. "It was just learned a little while ago," Trump said at a campaign rally in October, "that one of the closest people to Hillary Clinton, with long-standing ties to her and her husband, gave more than $675,000 to the campaign of the spouse of a top FBI official, his wife, who helped oversee the investigation into Mrs. Clinton's illegal email server." 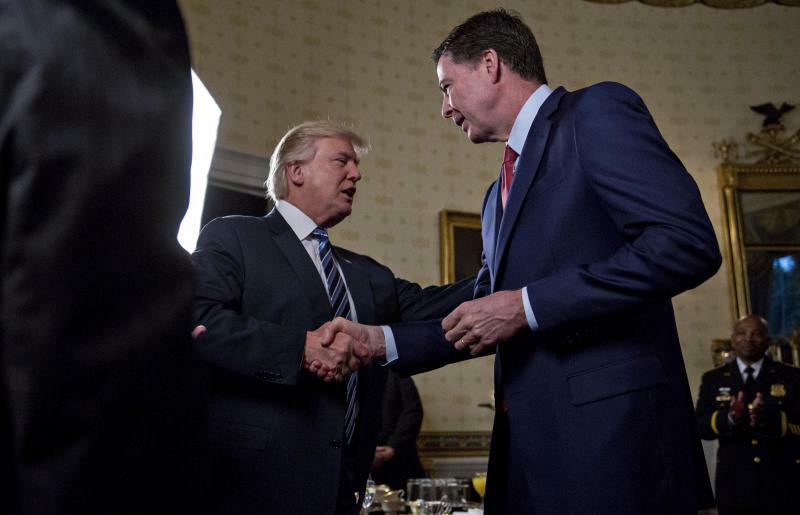 "Trump went on to connect the dots in a misleading way and accused Clinton of being a crook. "The truth is that McCabe's wife was approached by Gov. Terry McAuliffe and Virginia Democrats to run for the state Senate. She did, and McAuliffe's political action committee as well as the state party unsurprisingly donated to her campaign. McAuliffe was a longtime fundraiser for the Clintons before becoming governor. "Jill McCabe lost. Andrew McCabe did not have any involvement in the Clinton email investigation at the time. Three months later, in February 2016, Andrew McCabe became deputy director of the FBI, the first time he had any oversight of the investigation, as Politifact noted." Paul Abbate, executive assistant director for the Criminal, Cyber, Response and Services Branch. The announcement of an interim FBI director is expected in the next couple of days, the official said. 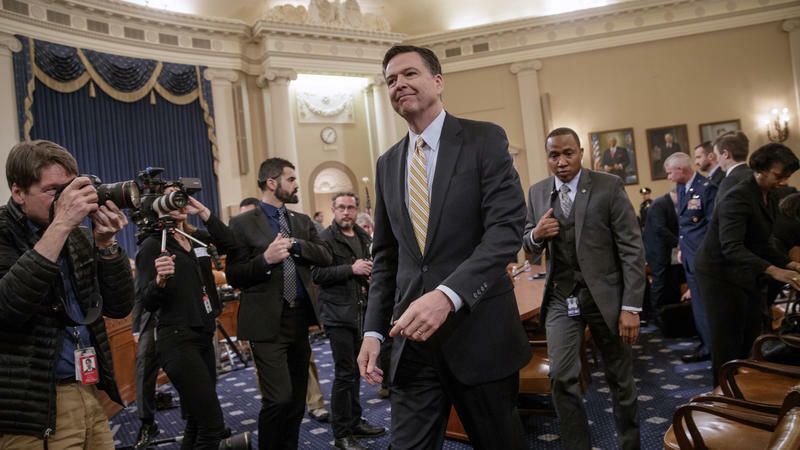 Comey was supposed to testify Thursday before the Senate Intelligence Committee, which is investigating Russian interference in the presidential election and possible collusion by Trump associates. The hearing's focus is not on the Russia investigation, but rather it is an annual hearing on worldwide threats. The committee says McCabe is now slated to appear in Comey's place. It isn't clear how long it will take Trump to nominate his pick for FBI director. And it's even less clear how long it will take the Senate to consider the nomination. 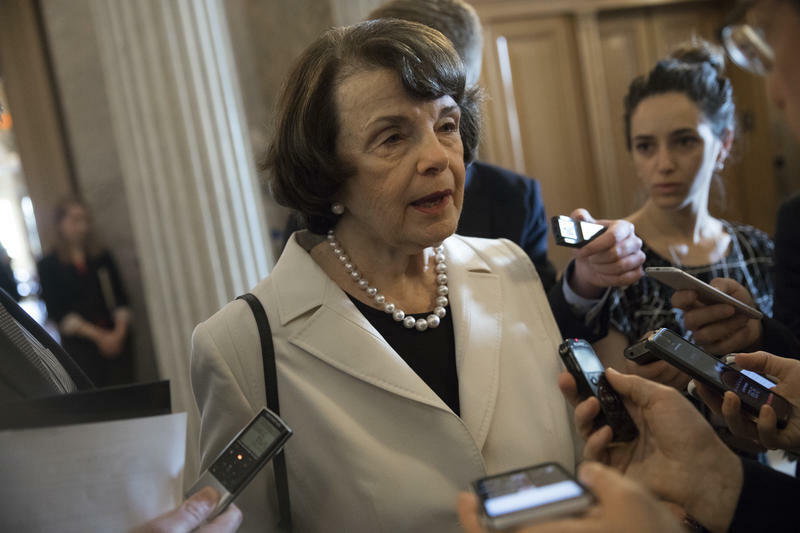 The confirmation process will likely be contentious because of the way Comey was ousted, well before the end of his 10-year term and with a justification dating back to 2016. 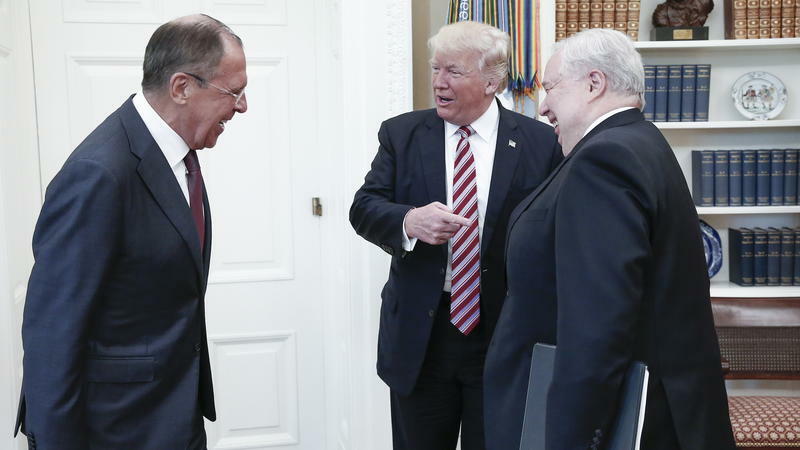 President Trump hosted Russian Foreign Minister Sergey Lavrov at the White House on Wednesday, one day after firing the man whose agency is investigating Russia's meddling in the 2016 election that brought Trump to power.